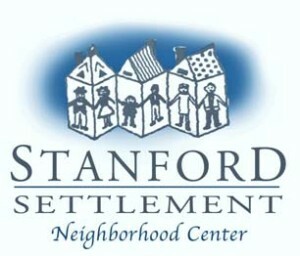 Stanford Settlement in Gardenland will mark its 50th anniversary with a celebration hosted by its Board of Trustees on Saturday, August 24, 2013 from 3pm to 7pm at 450 West El Camino Ave. The community is invited to join Stanford Settlement in celebrating their landmark anniversary by touring the agency’s programs and services, enjoying refreshments, music, and a free BBQ dinner. Stanford Settlement was founded in 1936 by the Sisters of Social Service and originally located at the Leland Stanford Mansion at 8th and N streets in downtown Sacramento. As homes gave way to office buildings, Stanford Settlement was encouraged by civic and church leaders to relocate to the Gardenland neighborhood. From humble beginnings at an abandoned Baptist church, then-Executive Director Leonora Espindle Foster began the outreach that is the trademark of settlement houses by visiting neighbors to determine the community’s needs and inviting them to help find solutions. communities through individual, family, and neighborhood services. Event organizers hope to see former Summer Day Camp and Teen Center participants, former agency staff and volunteers, and alumni of the former Gardenland Elementary School, where Stanford Settlement is now located. The event is sponsored by the Gardenland-Northgate Neighborhood Association, Sally Hite, Dignity Health, Councilmember Steve Cohn, and the Sisters of Social Service. To RSVP, please call (916) 927-1303.